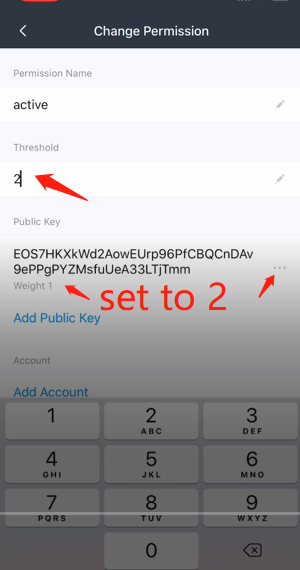 The EOS.IO software provides users a way to restore control of their account when keys are stolen. 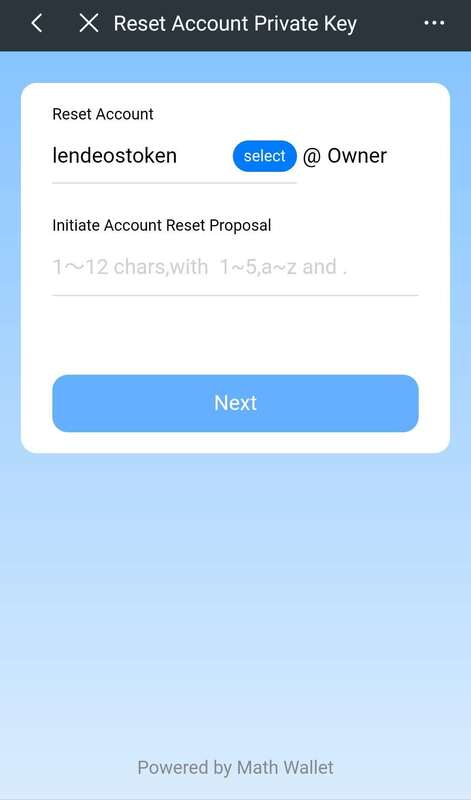 An account owner can use any owner key along with approval from their designated account recovery partner to reset the owner key on their account. 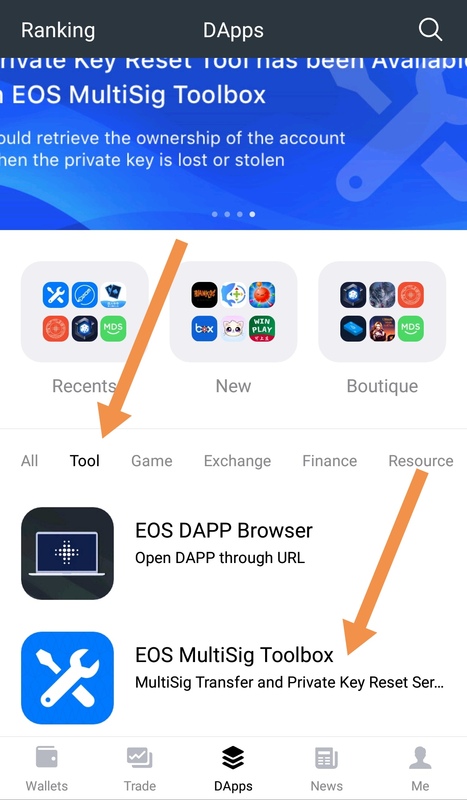 However, the EOS community did not has an interface tool for users to achieve this feature. 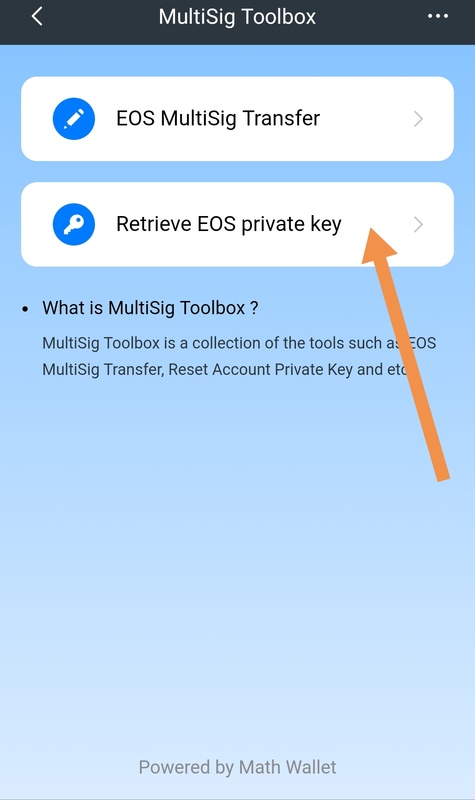 Now, Math Wallet releases 【EOS MultiSig Toolbox】 that enables users to backup private key without mnemonics. 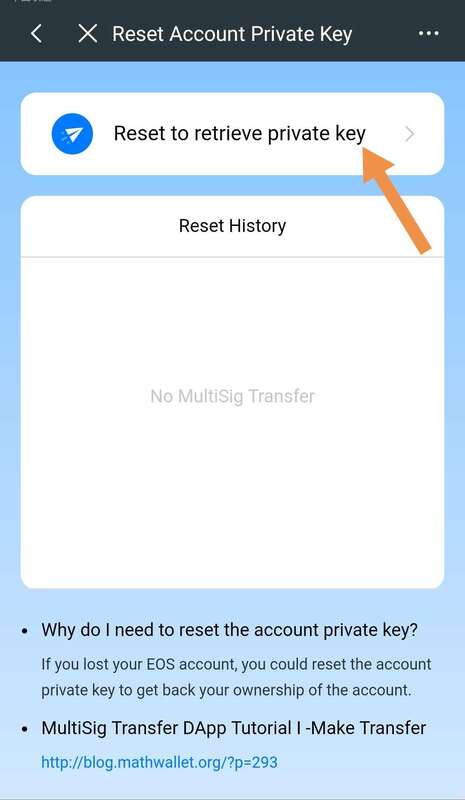 This article mainly describes how to set “ account backup friends” in Math Wallet and how to use 【EOS MultiSig Toolbox】to restore control of account when the key is lost or stolen. 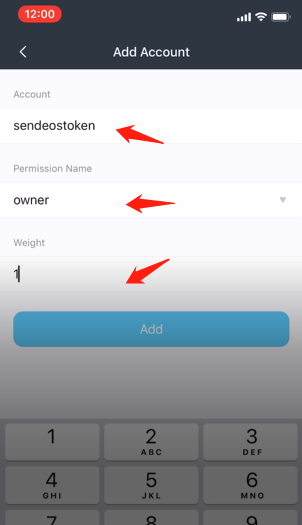 If lendeostoken lost his private key, we could use the other account “coincontract” to initiate MuliSig permission reset. 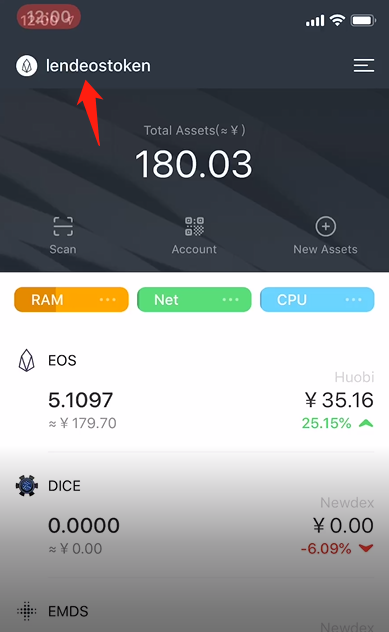 Suggestion ：Be sure to choose the accounts you trust, as two of the three EOS accounts could approve together to operate your account, be sure to choose the account you trust. 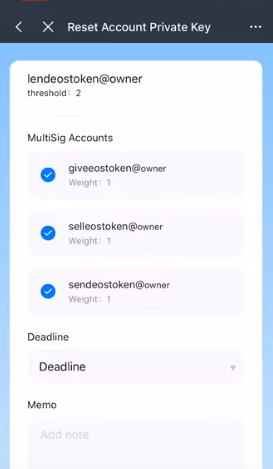 Note: If you are not familiar with the blockchain, please carefully set the MultiSig permissions. 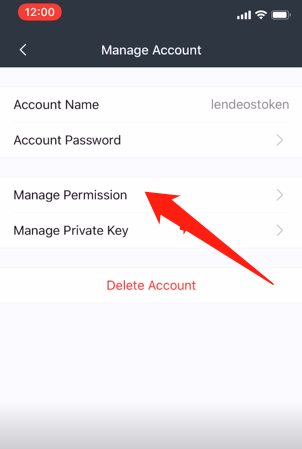 After setting, your current EOS wallet may can’t transfer or modify the permissions again. If two of the friends complete the signature, the account “coincontract” could enter 【EOS MultiSig Toolbox】- 【Reset EOS Private Key】to complete signature and execute the private key reset. Then copy the private key. Choose friends to make multi-signiture (at least two) and set the deadline. 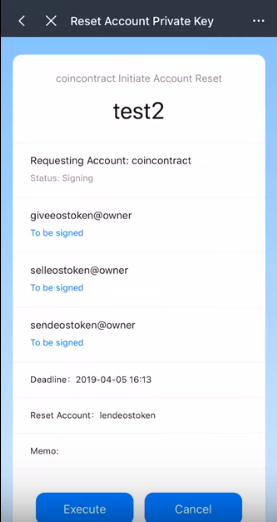 Confirm the information and enter the password of account “coincontract”.